The word “Open Source” has claimed to come of great importance on android ecosystem and thus there’s absolutely no reason to underestimate nor ignore it. While Google are busy adding more features on android, developers are busy coding essential applications that can help improve and continue android life span. 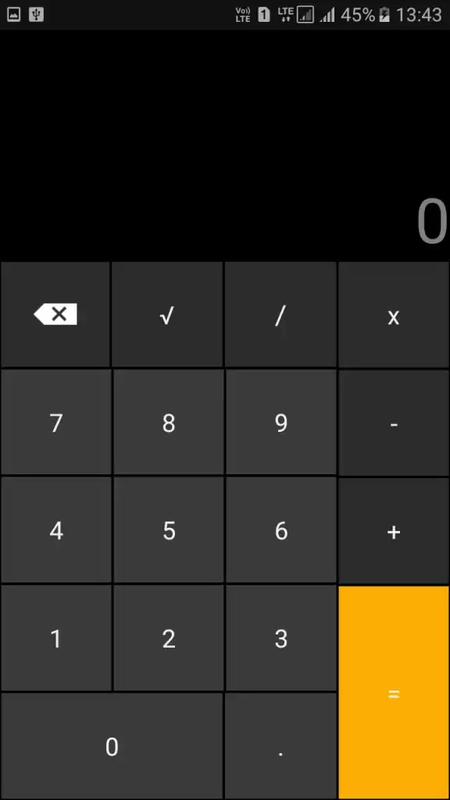 Ever wondered if it’s actually possible to hide your photos, apps, videos, files and other valuable documents on your android phone inside a calculator? If yes then it’s actually possible. 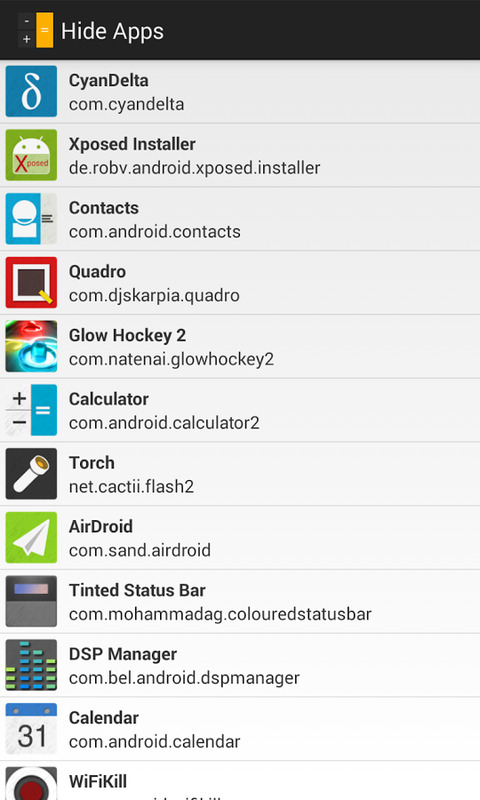 Gone are those days when we tend to use applications like app lock to lock our various files. 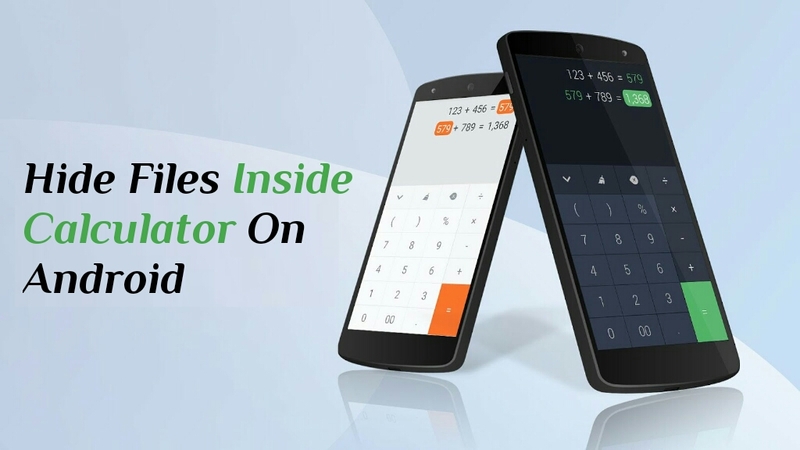 Now the case is absolutely different as you can easily hide your favorite/secret files and folders inside a calculator and protect it from prying eyes or unauthorized users. 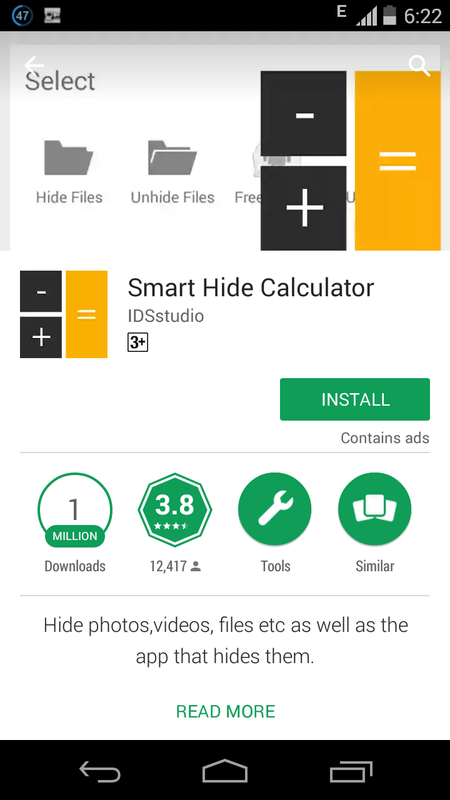 Before we proceed, you’ve to first and foremost download and install Smart Hide Calculator from the Google play store. The app is completely FREE so you don’t have to worry if it’s a paid app. Now locate the app from your device app drawer and launch it. From the main screen, you’d notice that the app is quiet simply but deep inside it lies a handy feature that’s top secretive. Next notice the Set Password at the top of the app, that is the password that you will use to unlock your hidden files. 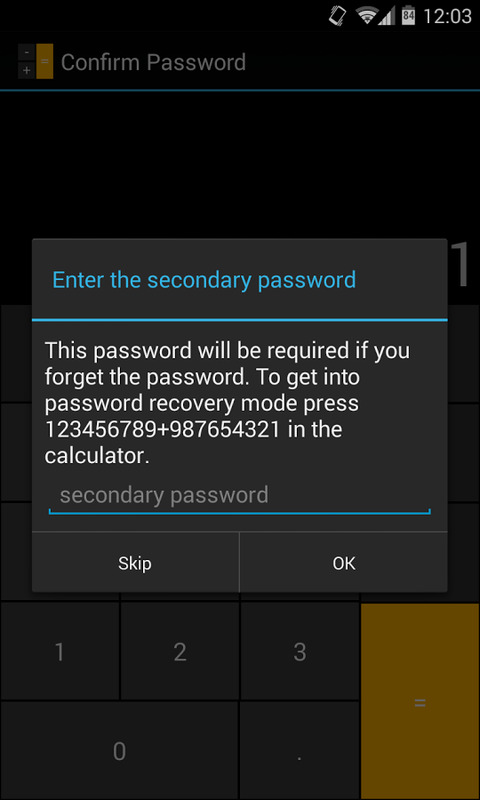 Simply enter a passcode, then hit the equals sign (=) and confirm it. After setting your passcode, you’ll be prompted to create a backup code, just in case you forget it. Now you will be presented with a full functional calculator. Now from the calculator, simply re-enter the passcode you’ve set earlier and hit the equal sign (=). 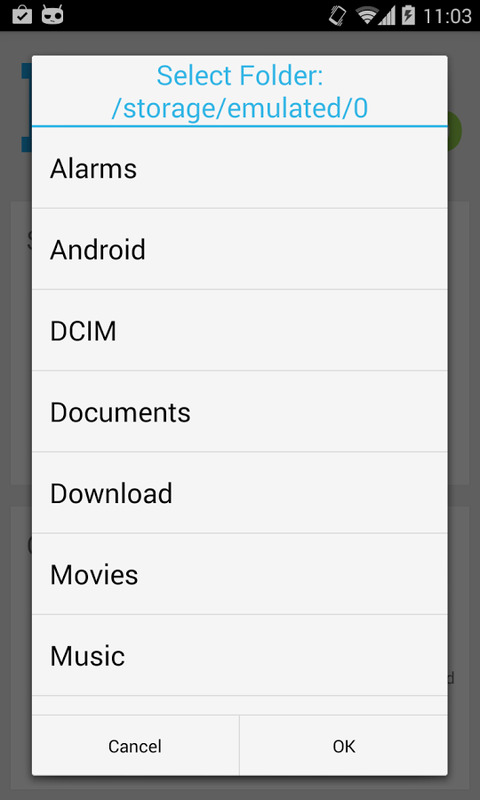 From the next screen you will get to see options likes Hide Files, Unhide Files, Freeze apps, Unfreeze apps etc. To hide apps, just select the Freeze Apps option, then select apps from a list of the ones you have installed. They will disappear from your app drawer and appear as if they’re no longer installed. When you’re ready to use your hidden apps again, simply enter your passcode and select “Un-Freeze Apps” option. To hide files, simply select the “Hide Files” option then select the files that you want to hide. If you want to unhide the files then simply enter your passcode and select the option “Unhide Files” and from there you can unhide files. That’s it. Note that you easily change your password whenever you prefer and if perhaps you forget your password, simply enter the password recovery mode by entering 123456789+987654321 in the calculator, followed by the equals sign (=). The “Refresh Gallery” option does not actually come in handy as the developer has promised to remove this option in nearest update. 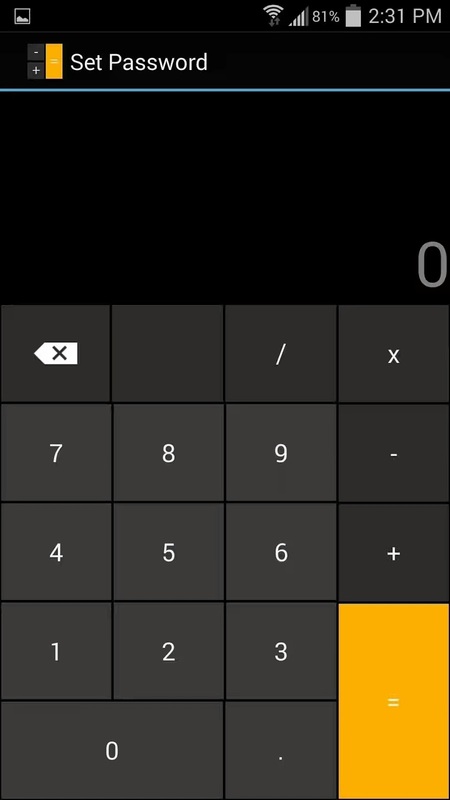 Smart Hide Calculator looks simple and thus everyone will think it’s just a normal calculator without knowing it’s true motive. 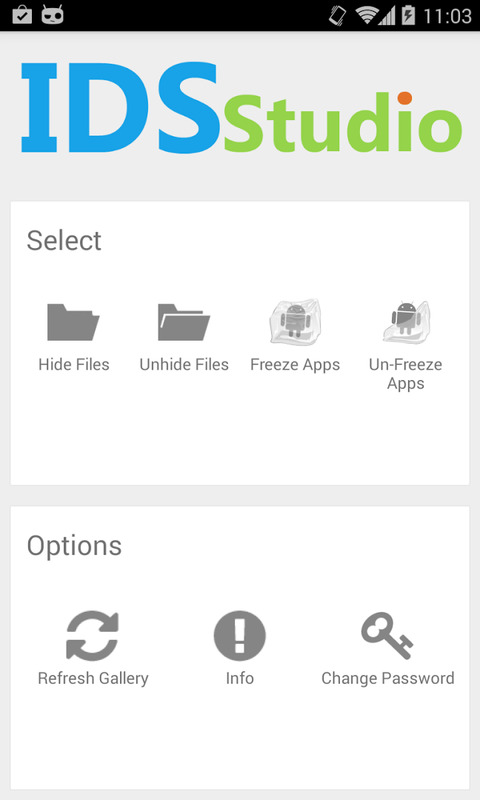 Overall the app is certainly what you need to hide your favorite secret file, videos, photo etc in your android device without root access. There’s more features to be included in this app in the nearest future and using it will be pleasurable.